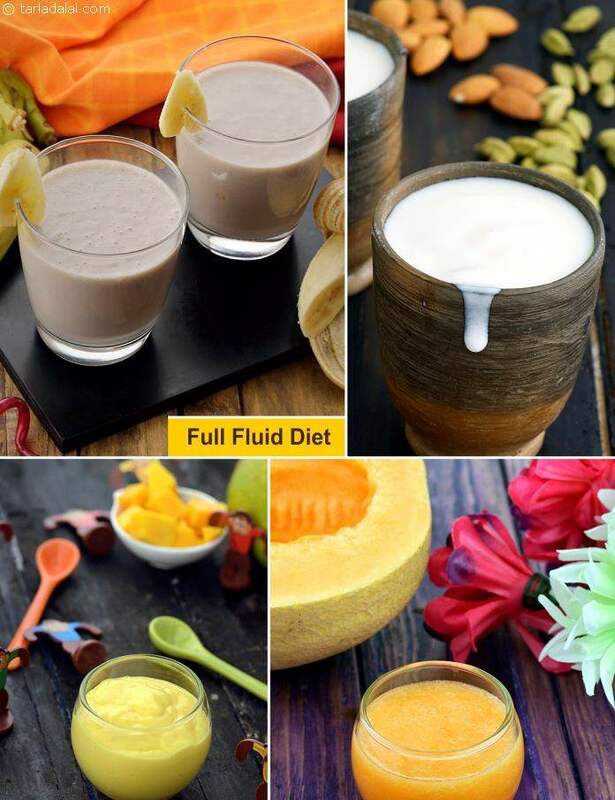 A full liquid diet bridges the gap between the clear liquid and soft diet. This is suggested post-operative after a clear liquid diet or when milk is allowed but patient is not yet ready for semi-solid foods. This is also apt for patients who have problems with chewing or swallowing. This diet consists of foods which are liquids or which readily become liquid on reaching the stomach. It includes foods allowed in clear liquid diet plus milk and small amounts of fiber and fat. This diet can be given at an interval of 2 to 4 hours. It gives around 1000 to 1200 calories and 30 to 35 gm of protein. However these diets do not suffice all your nutrient needs and hence are advisable for extended period.